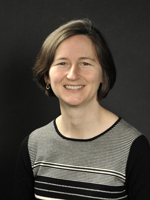 Regina LaRocque has an MD from Duke University School of Medicine and an MPH from Harvard School of Public Health. She completed her training in internal medicine at Brigham and Women’s Hospital and her fellowship in infectious diseases at Massachusetts General Hospital. She is on staff at the Massachusetts General Hospital Division of Infectious Diseases and is an Assistant Professor of Medicine at Harvard Medical School. She has performed laboratory and clinical research for 15 years in the fields of travel medicine and enteric infections. She has authored more than 100 peer-reviewed publications and book chapters. She was elected to the Natural Resources Commission in Wellesley, Massachusetts in 2017. She is concerned about the impact of climate change on human health and the spread of infectious diseases.